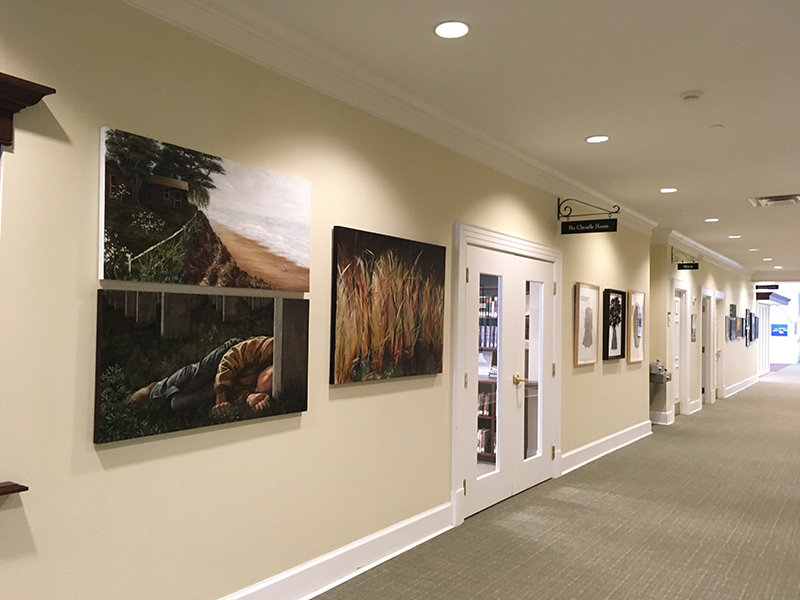 In April 2018, DITA director, Professor Jeremy Begbie spoke at St. George’s Episcopal Church in Nashville, Tennessee for their seventh annual art show. Sixty artists showed 80 works that included paintings, photography, mixed media, and sculpture. The show was organized around the theme of light inspired by a parish initiative to encourage being a “light in the city.” Professor Begbie gave an evening talk on “Hearing Freedom Through Music” as a part of the weekend opening of the show. 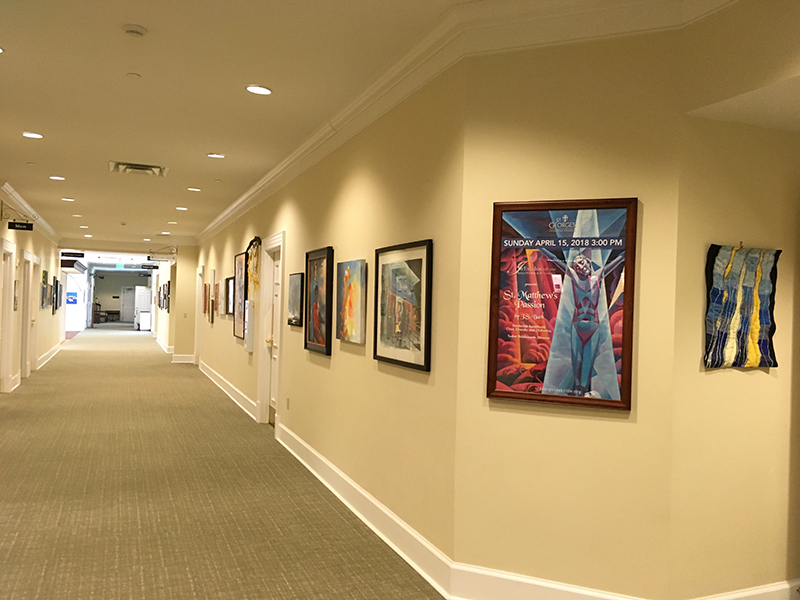 Since 2016, St. George’s has collaborated with DITA at as a part of the church’s ongoing quest to dig deeper into the connection between faith and art. In 2017, DITA and St. George’s launched a parish partnership, which includes a field education placement in theology & the arts at St. George’s. Read an interview with St. George’s Rector Leigh Spruill & DITA alum Lisa Beyeler about DITA’s parish partnership. 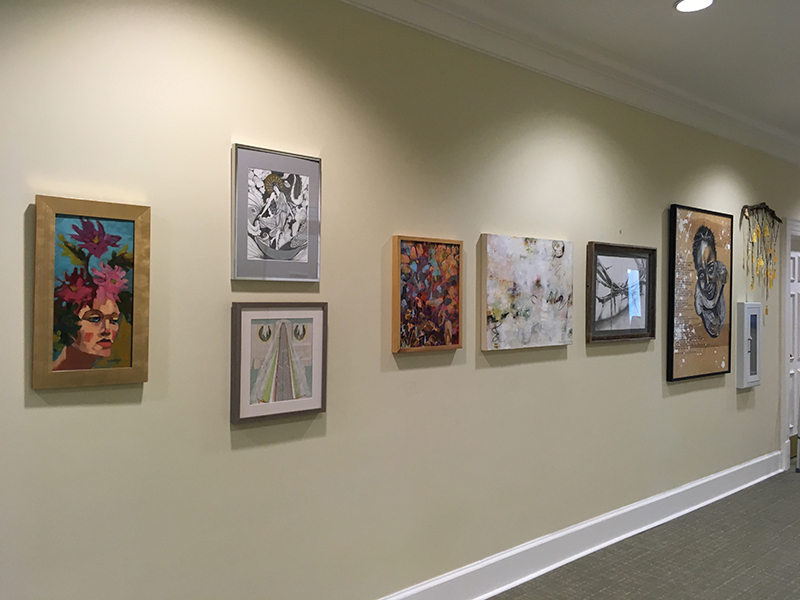 Led by a group of laity that meets monthly to engage in art from a spiritual perspective, St. George’s continues to benefit from the DITA collaboration in many ways—including a Marc Chagall exhibit of lithographs and etchings of religiously themed work. In Fall 2018, renowned poet Malcolm Guite and C.S. Lewis Scholar Michael Ward will visit St. George’s followed by a winter exhibition of the print works of Sadao Watanabe. St. George’s has an enduring legacy of engagement with and patronage of the arts, both within the church and throughout Nashville. 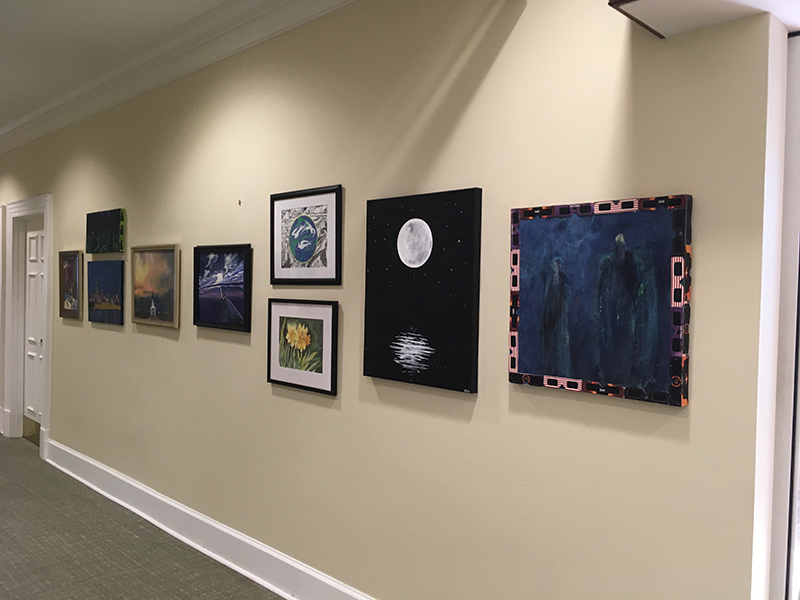 As artists and creators, they seek to see God through the transcendent beauty of all art, challenge each other through study and making new art and sharing revelations in the broader community of faith through exhibits and performance. The DITA partnership challenges the parish to explore all artistic practices and offers the church additional forms through which many people encounter the Gospel. Lisa Johnson is the co-leader of the Arts Community at St. George’s Episcopal Church in Nashville, Tennessee. A life-long Southern Baptist now confirmed Episcopalian; she has learned more about the Bible from her college art history class than 20 years of Sunday School. 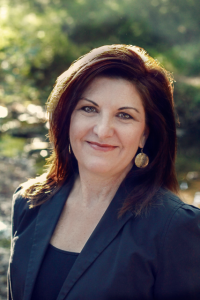 She is a graphic designer and marketing consultant in Nashville.